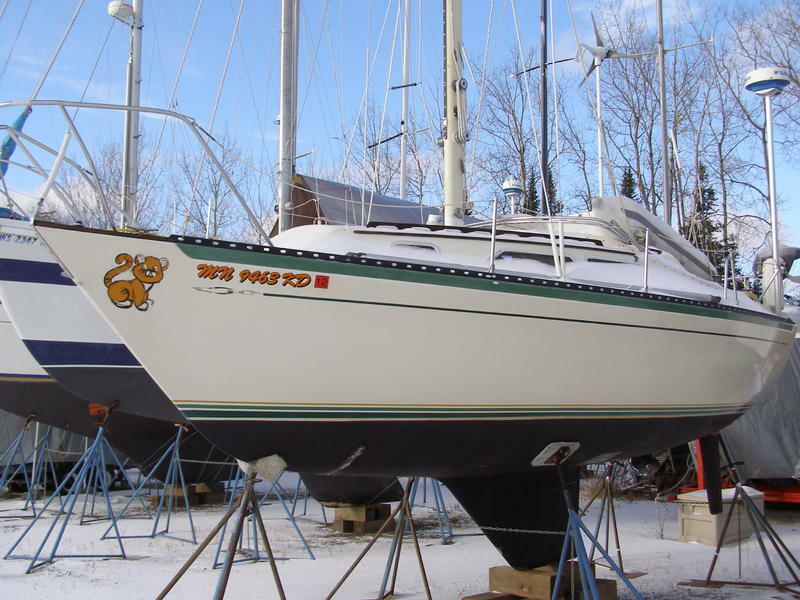 For sale is my 1977 Islander Bahama 26 sailboat “Tigress”. 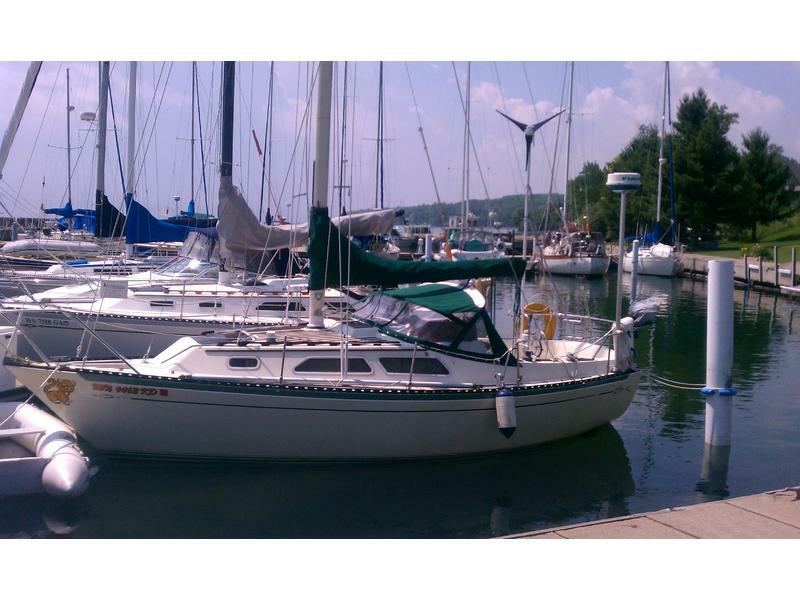 I am selling this boat as I am looking to purchase a larger boat with a little more room. 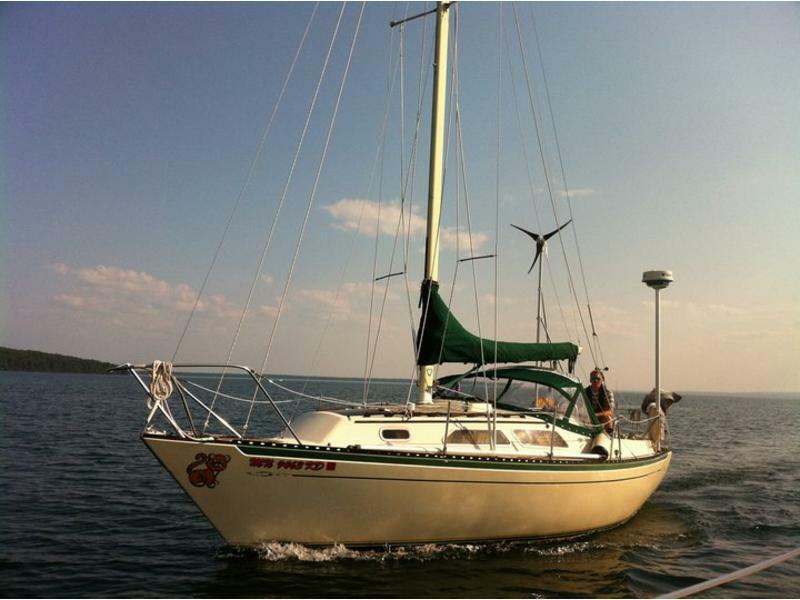 This sailboat has provided a lot of fun over the last few summers with multiple two week journeys to the Apostle Islands. 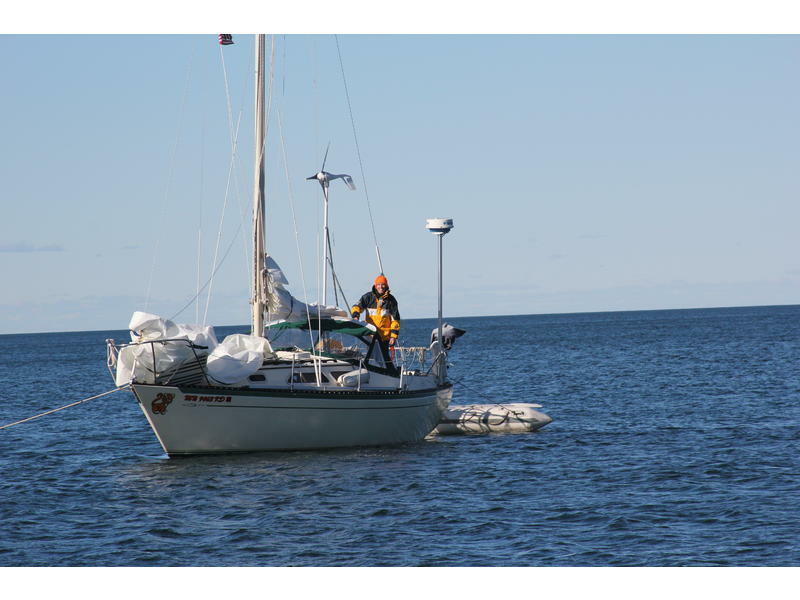 The sailboat has always been in fresh water on Lake Superior. 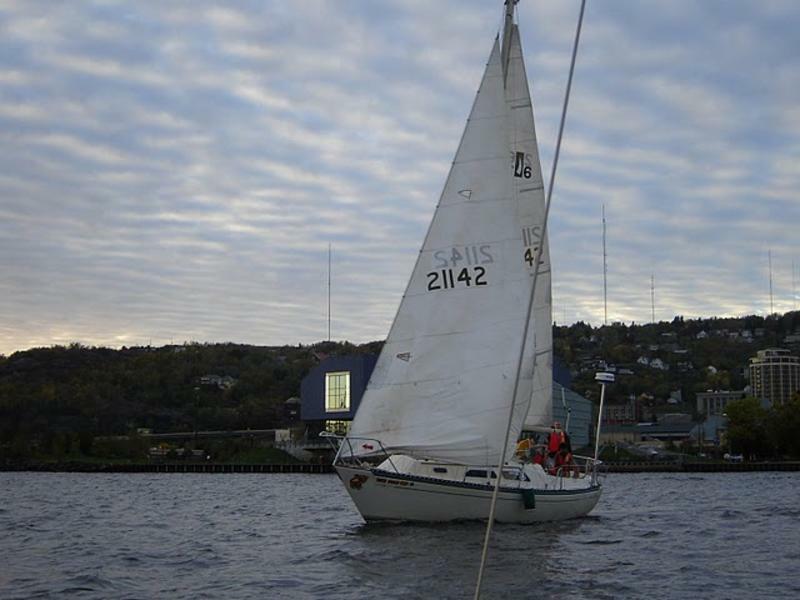 This sailboat has passed the 2011 coast guard vessel safety inspection. 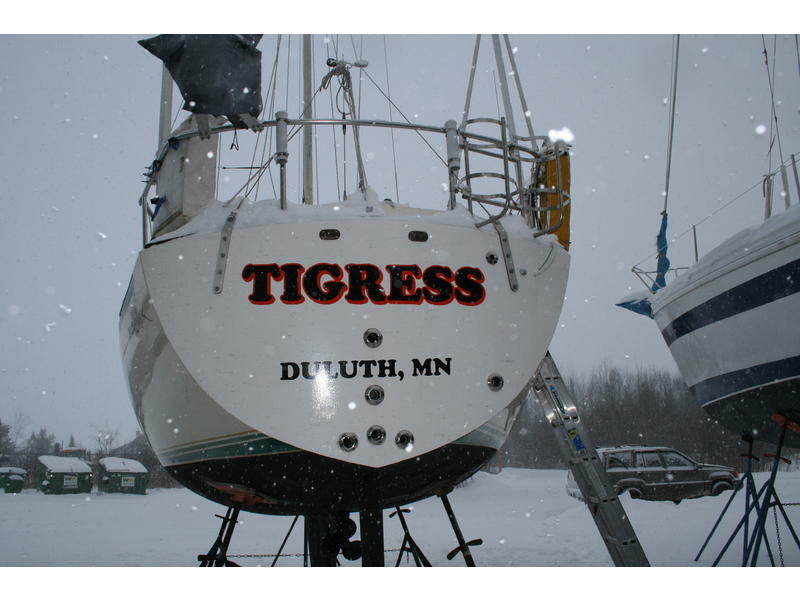 The sailboat has all new marine grade wiring. 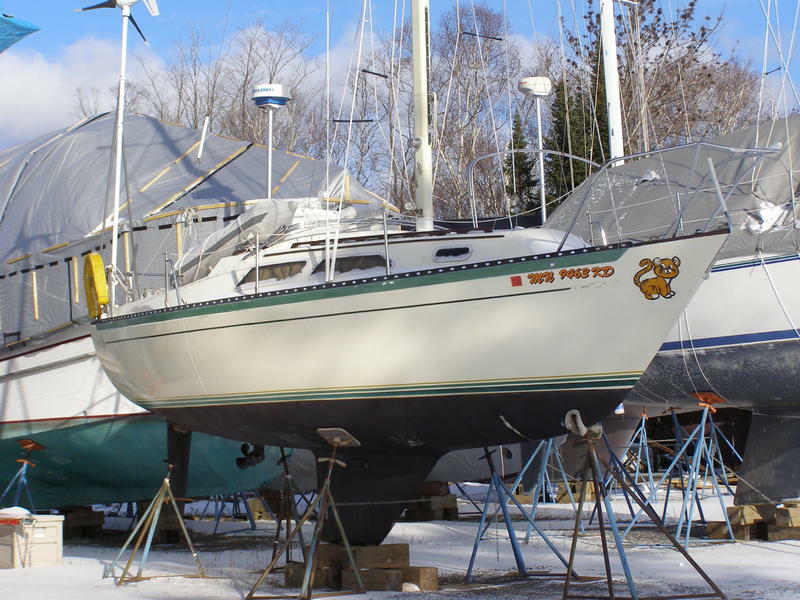 In 2010, all stern thru-hulls were replaced with stainless steel thru-hulls and the exhaust water, cockpit drains, and fuel hoses were replaced and secured with two stainless steel hose clamps on each. A new 19 gallon poly gas tank has been installed as well. Electronics include Icom VHF, Furuno radar, Autohelm 3000 wheel pilot, 1500 watt power inverter, Guest 2 bank battery charger, two 6-volt golf cart batteries (total of 220AH), and a dedicated starting battery. All batteries are new as of May 2010. Interior lights have also been updated with LED bulbs. A new Dodger with Sunbrella (in forest green) fabric has been installed this year. 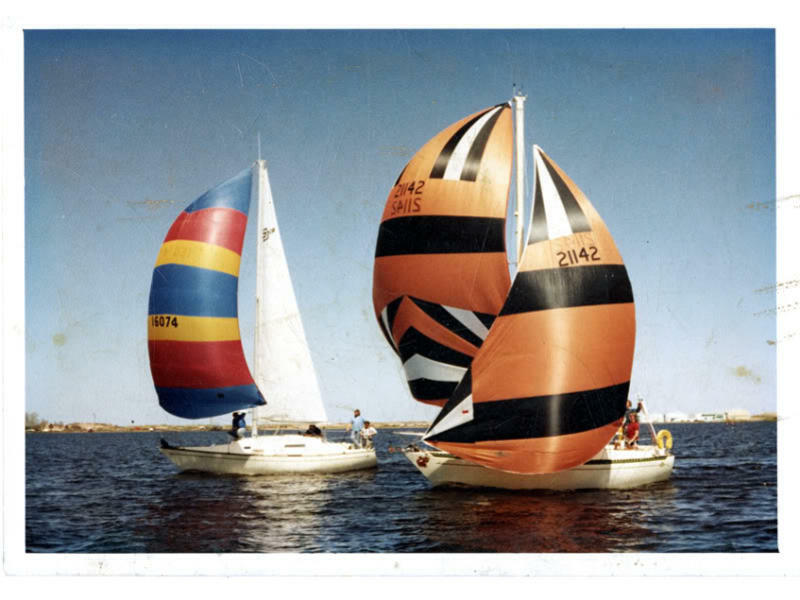 OMC Saildrive 15HP inboard engine with new belt and alternator. Engine runs great, compression is 110-120 lb in each cylinder. Many spare parts as well to include backup fuel pumps.